Solo Show, Meet Me There, MNAT Museum, Tarragona, Spain. 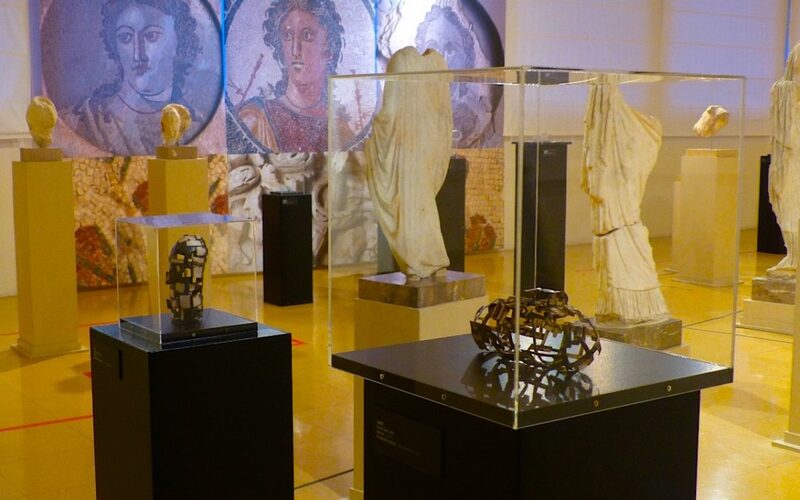 The main idea of the exhibition at the MNAT is to associate the jewelry pieces from the series Meet me there, with the objects and sculptures of the permanent collection, that belongs to the Archaeological National Museum of Tarragona. The combination of old and modern elements creates a symbiosis of communication, innovation and timelessness. The archaeological pieces of jewelry featuring the artist, have a wide sense of found objects, de-constructed and unfinished. These qualities along with the material and metaphysical value of the jewels, creates a combination of the ancient and the modern associating its timelessness and the ability of as something old can become modern and vice versa.